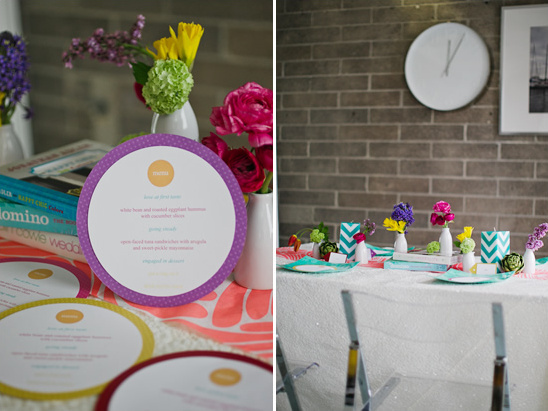 Mele Amore Events took on the bright colors of the season and designed a vibrant shower. Filled with doable ideas that you could easily pull off. 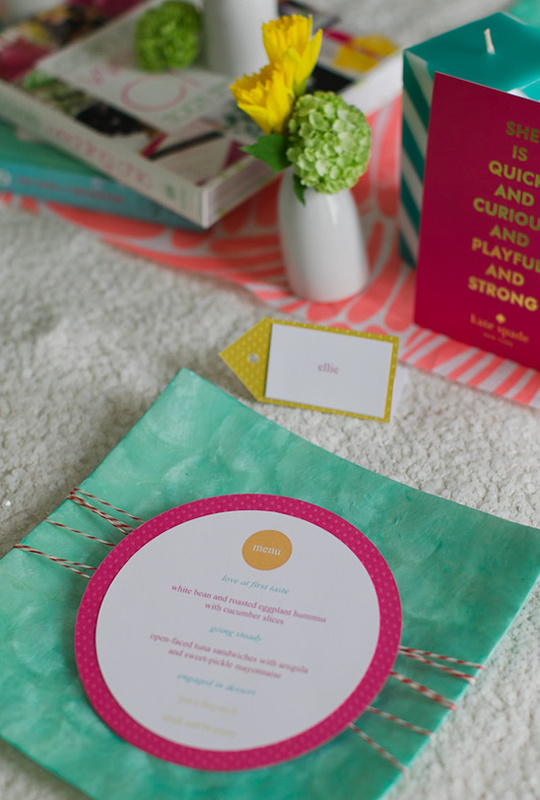 Plus we can't help but smile when presented with a little POC (pop of color). 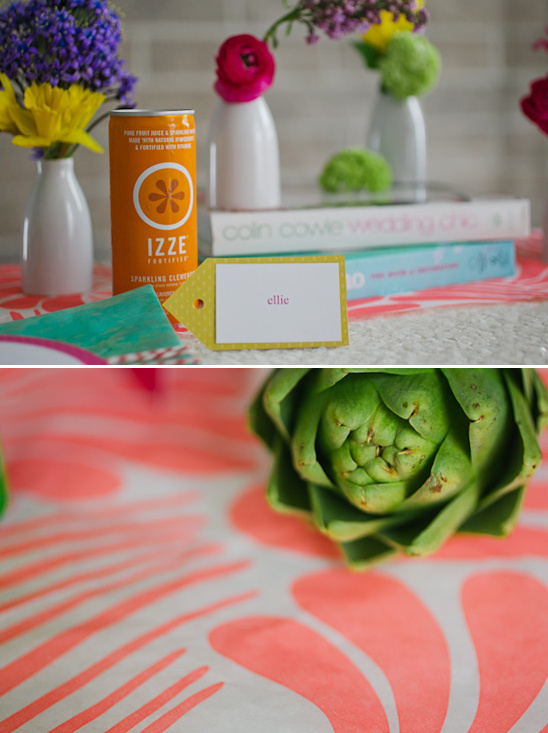 Something about standout shades of pinks, oranges, yellows and blues brings with it guaranteed happiness. Don't you think? 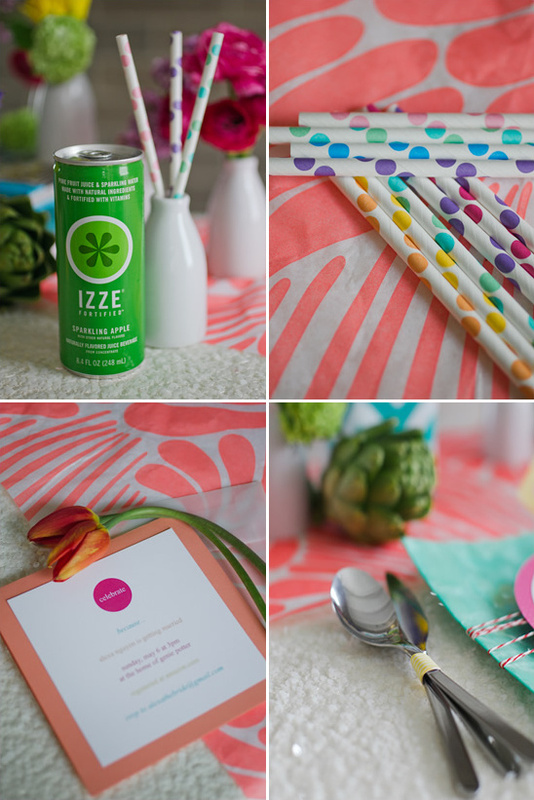 Read on to hear all the tips and tricks on how to pull off this bridal shower off for your bestie. 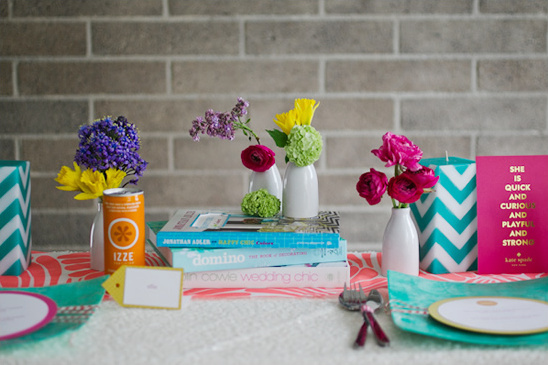 All these colorful bridal shower ideas were photographed by Alice Hu Photography. You can see them up close in the full gallery by clicking here. 1. 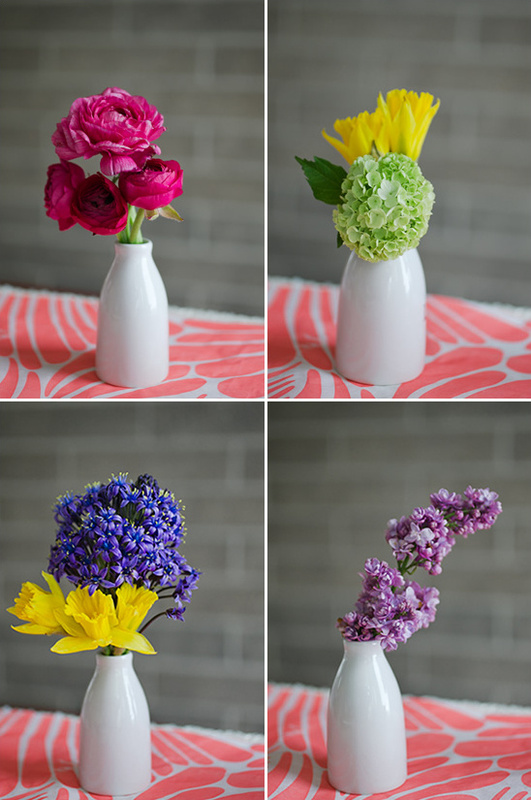 Add a fresh feel to the look with small white bud vases (golden find at a dollar store) and fill them with eye-popping colored flowers and veggies from your local market. 2. 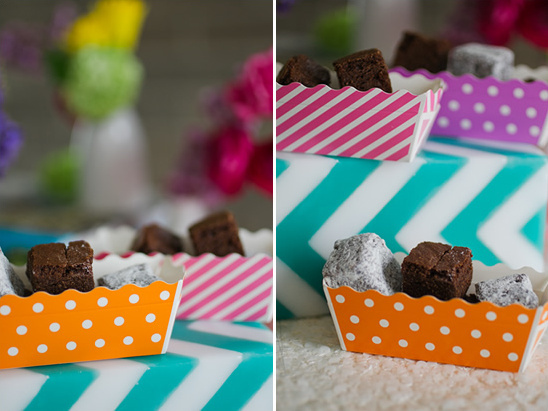 Keep the fun alive with brightly colored polka dot straws & dessert containers. 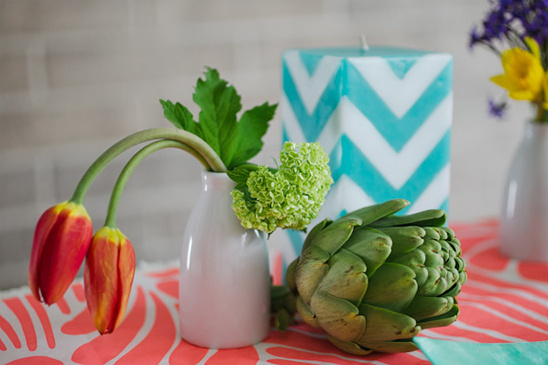 Pull off mixing stripes, chevrons and dots using the same bright color palette. 3. 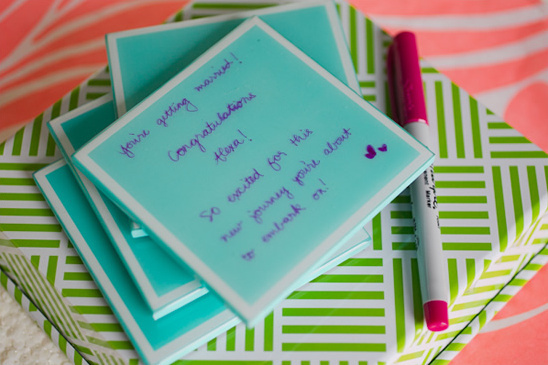 Keep the inspiration fresh and have the girls write well wishes to the bride-to-be on colorful coasters. 4. 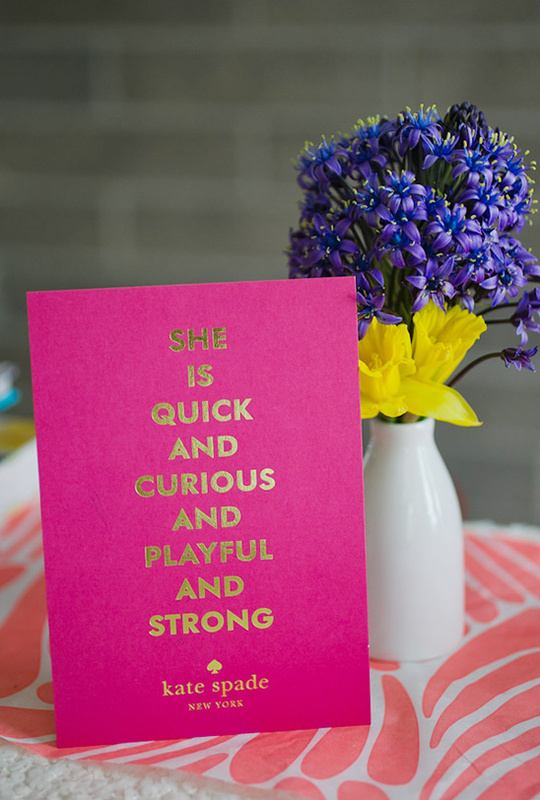 The engagement ring decorating station keeps your girls active and interested. 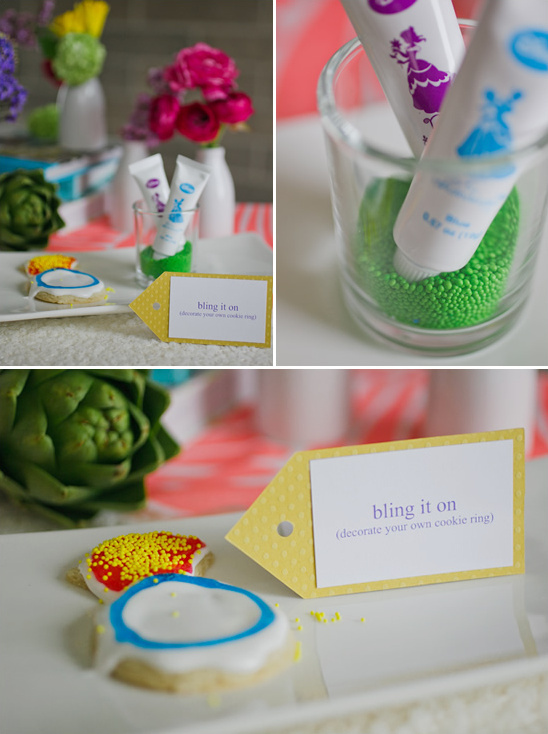 All you need is pre-made sugar cookie dough, a ring shaped cookie cutter and fun colored frosting's and sprinkles. 5. 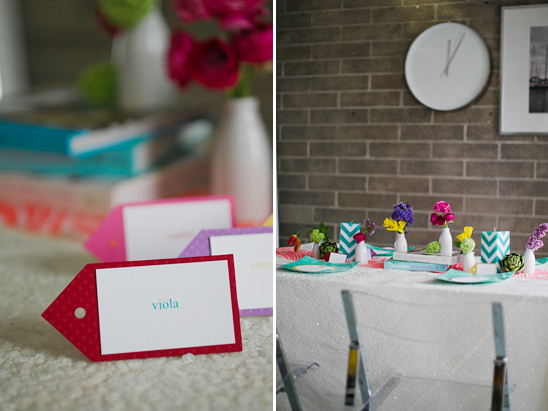 Rock the theme with custom menus and luggage tag place cards. 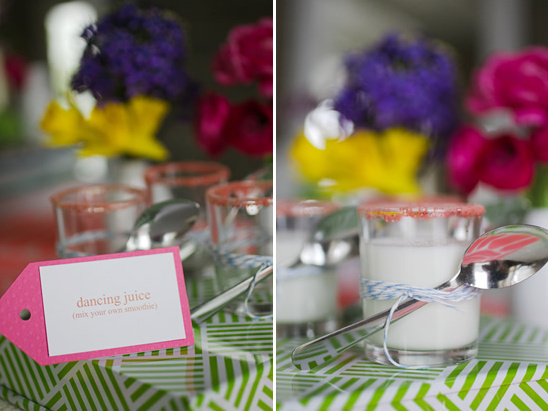 Therese Hernando of Felix Rhys Paperie designed these super chic ones. 6. 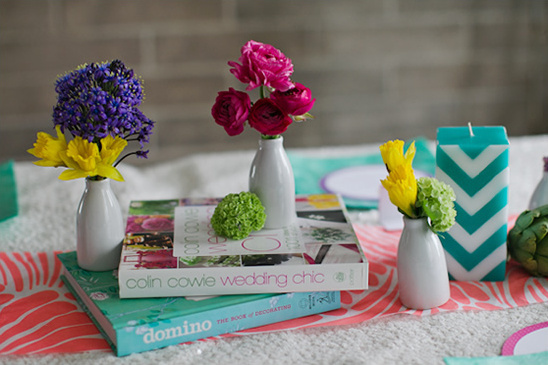 Accessorize the table with inspirational wedding planning and design books.